Fall is here and that means it’s pumpkin season. Although pumpkins are known for their rich, savory, vegetable-like quality, this bright orange food is actually a fruit. 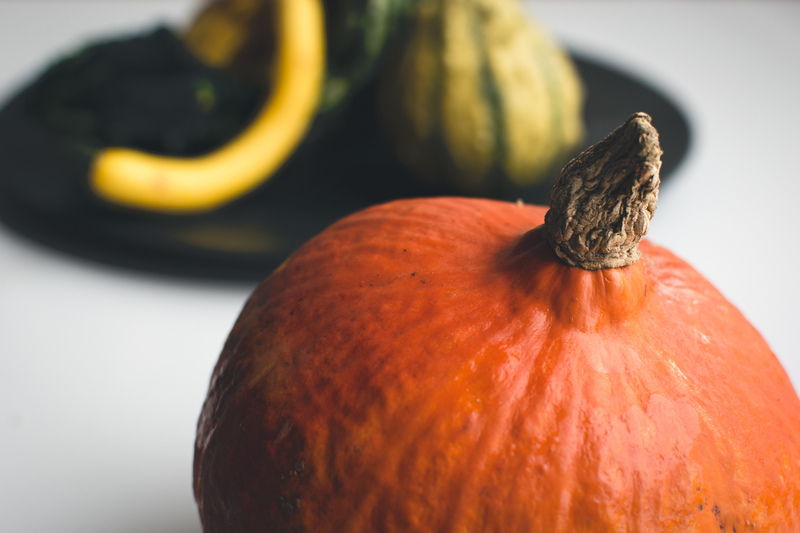 That’s because pumpkins are a product of a seed-bearing plant that flowers, as opposed to a vegetable that is the edible portion of the plant. Regardless of what one calls it, the variety of delicious recipes made from the pumpkin is what’s most impressive. From pies to pasta, cookies to roasted hash, soup to bread, the versatility of this unassuming fruit are as endless as a pumpkin patch in the middle of October. For me, fall marks the season of entertaining. From Thanksgiving through New Year’s Eve, my kitchen is in a full-force mode when it comes to making delicious, creative recipes to please a crowd. One of my fall favorites to serve my guests is my creamy pumpkin dip with crispy turmeric chips. Since I love combining flavors and ingredients from around the world to create a unique take on what might otherwise be a traditional recipe, I combined the flavors of pumpkin which is eaten through out the globe, with turmeric traditionally used in Indian, African, and Middle Eastern cultures. The combination of texture and flavor creates a light and flavorful appetizer that is perfectly suited for a fall menu at your next gathering. 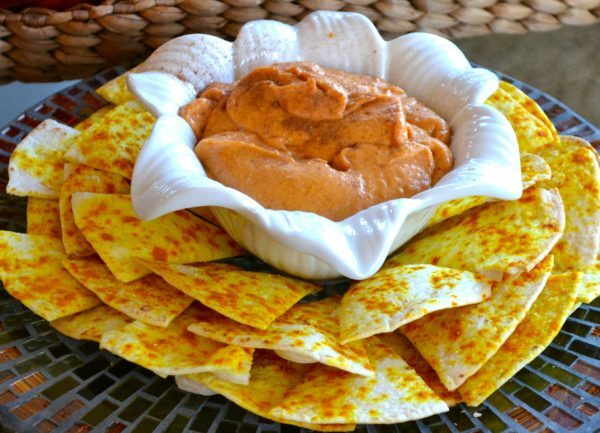 If you are hosting Thanksgiving this year or want to bring a delicious appetizer to the gathering, try my Creamy Pumpkin Dip with Crispy Turmeric Chips. It’s a crowd-pleaser! A light and creamy dip paired with crunchy turmeric chips make a perfect combination for fall menus, holiday parties, or your next Thanksgiving celebration. In medium bowl, blend cream cheese and powdered sugar until smooth. Slowly mix in pumpkin, cinnamon, and pumpkin pie spice. Mix well until blended. Pour dip into a serving bowl, cover, and refrigerate until ready to serve. Brush each pita bread with 1 teaspoon olive oil, and sprinkle with 1/2 teaspoon turmeric and sea salt. Using a pizza cutter or sharp knife, cut pita into eight equal pieces and lay oil side up on baking sheet. Place into oven and bake 15 minutes or until browned.